We are producing a short camera trap video series that might interest some of you. It is named “Residents of the Forest: Educational series shows the diversity of Amazon dwellers”. 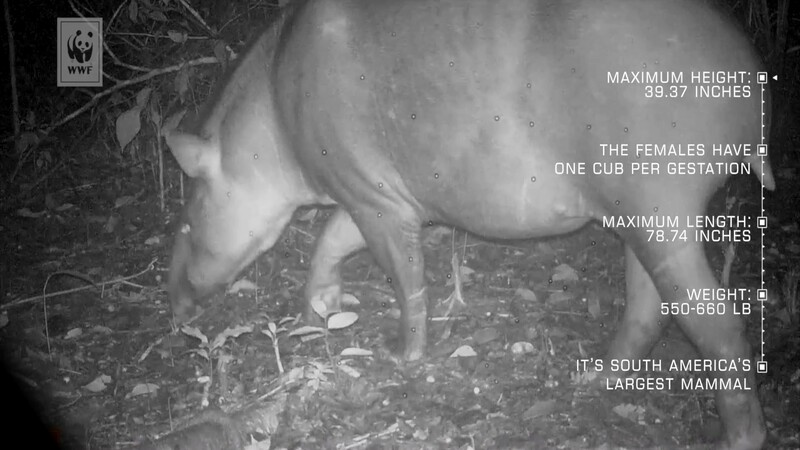 Altogether, the series will bring ten videos, one each month, depicting the results of an initiative that installed 20 camera traps inside the reserve and all the videos will be bilingual (Portuguese/English). The video are part the current work in Resex Chico Mendes in Acre-Brazil, a partnership among WWF-Brazil, the Cooperative of the Community Forest Producers (Cooperfloresta), and the Association of Residents and Producers of the Chico Mendes Extractivist Reserve in Xapuri (Amoprex), and the Chico Mendes Institute for Biodiversity Conservation (ICMBio). and the Management Council of of Resex Chico Mendes. 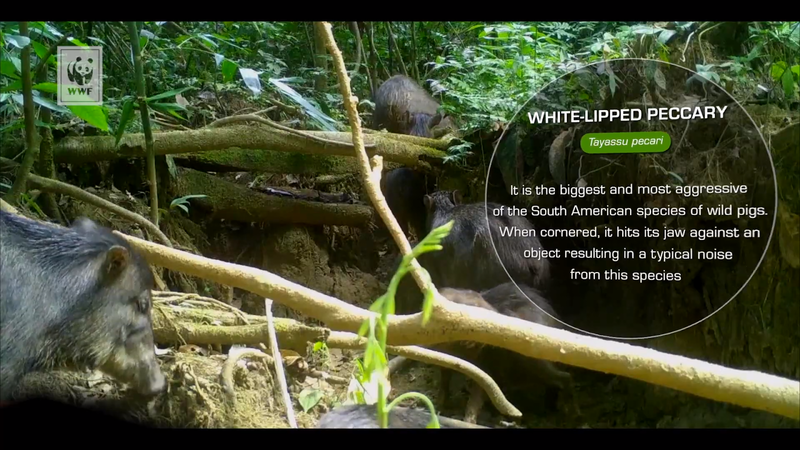 The first video of the series, released in April 2018, showed the first video record in Resex Chico Mendes of the Pacarana (Dinomys branickii), a rare and little-known species by scientists ( video link of the Pacarana in English from WWF UK: https://vimeo.com/263869929). If anyone needs additional information I am available to help. I hope you enjoy and please help us share the video widely! 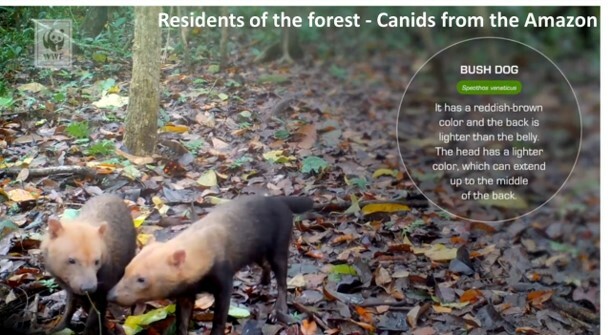 Hi all, we just released a new episode of the "Residents of the Forest" series showing some of the most striking and rare Amazonian forests animals captured by camera-traps, installed in the Extractive Reserve (Resex) Chico Mendes in Acre - Brazil. This episode is about the Bush dog (Speothos venaticus) and the Short-eared dog (Atelocynus microtis). In little more than two minutes, the video presents differences and similarities between the two canid species and shows unusual images, such as the Short-eared dog savoring a lizard, one of its main kinds of food. The Short-eared dog, a unique species of the Amazon also known as Short-eared fox, is an animal that prefers a solitary lifestyle, although there are records of couples hunting together. The Bush dog is the only Brazilian canid that lives and hunts cooperatively. The similarities reveal the sad side of the story of each species. Both dogs are classified as vulnerable by the Brazil Red Book of Threatened Species of Fauna, and "near threatened" by the International Union for Conservation of Nature and Natural Resources (IUCN). According to Felipe Spina Avino, a WWF-Brazil biologist and conservation analyst, monitoring is important to reveal information about species, but mainly to show the impact of human activities on forest life. “We know that the loss and degradation of the natural habitat caused by deforestation and by the increasing infrastructure constructions such as roads and hydropower plants are some of the main threats to the survival of these species. Other factors such as run-over accidents also put a lot of pressure on wild animals. In the specific case of these wild dogs, they can also catch diseases transmitted by domestic dogs that enter the forest,” explains Spina. Altogether, the series will have 10 videos, one every month, depicting the results of an initiative that installed 20 camera traps within the reserve. The work is unprecedented and has been done in partnership with the community members of the extractive reserve, who have been monitoring the fauna present in the forest management areas of the conservation unit (UC). The first video, released in April 2018, showed the first record in the Amazon forests of the Pacarana (Dinomys branickii), a rare species little-known by scientists (watch it at: https://vimeo.com/263869929). In September, the Tapir, the largest mammal in South America, was the species portrayed. (watch it at:https://www.youtube.com/watch?v=y1aO8739Htk). The series is a partnership between WWF-Brazil, the Cooperative of Community Forest Producers (Cooperfloresta) and the Association of Residents and Producers of the Chico Mendes Extractive Reserve in Xapuri (Amoprex). Furthermore, it has support from the Chico Mendes Institute for Biodiversity Conservation (ICMBio). * NEW EPISODE * Residents of the Forest Camera trap Video: Do you know two of the Amazonian anteater species? 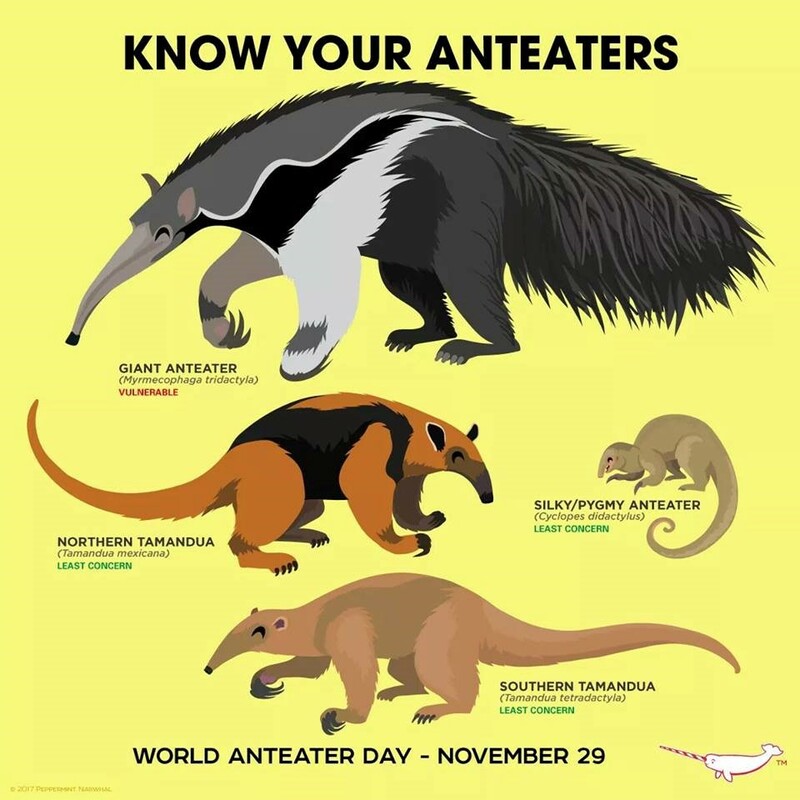 The question opens the new video of the Forest Residents series, the fourth episode of the series highlights the giant anteater (Myrmecophaga tridactyla) and collared anteater (Tamandua tetradactyla), both species listed on the IUCN global list of endangered animals. 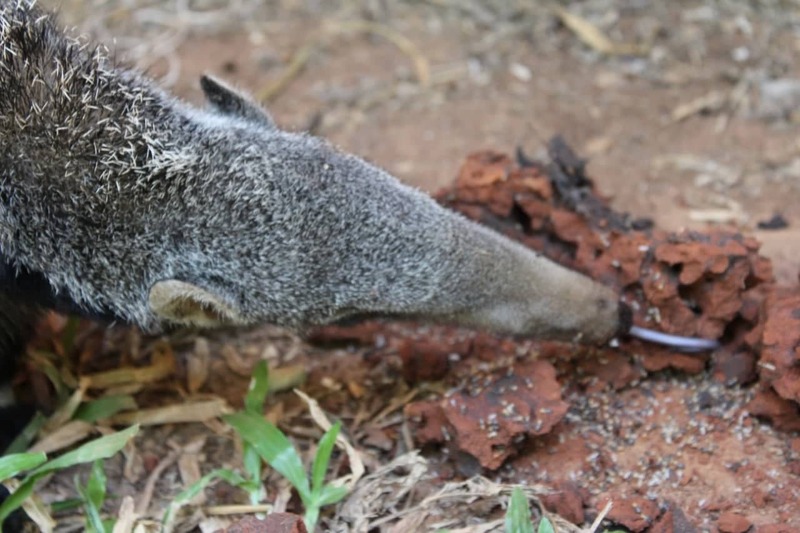 Both species of anteaters are under pressure due to the occupation of large areas of Brazil for large-scale agriculture and livestock activities and deforestation that reduce their natural habitats. In addition, fires, predatory hunting, and trampling of these animals put the species at risk . These species originally occurred in all Brazilian states, but is currently at risk of extinction in all regions of the country. In general, the Amazon still houses a good amount of these animals, but in other regions of the country, as in the Atlantic Forest, it is considered virtually extinct. In fact, it is possibly extinct in the Pampa region. Want to join in the discussion? You are not member of any groups.